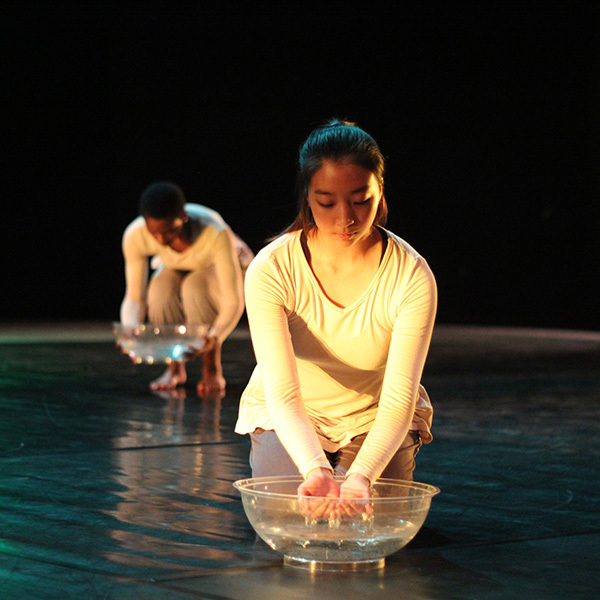 The NC Dance Festival, a production of the Greensboro-based Dance Project, is an annual touring showcase of modern and contemporary choreography by NC artists. The Festival aims to support the creation of new choreography and the presentation of high-quality repertory, build and strengthen relationships between dance artists within the state, and provide access to and education about modern and contemporary dance to audiences and students. Founded by Jan Van Dyke and now directed by Anne Morris and Lauren Joyner, Dance Project is a non-profit organization that has been operating in North Carolina since 1989, coordinating the NC Dance Festival, running a community studio, the School at City Arts, and managing the Van Dyke Dance Group. We hope to create a stronger community for dance as we contribute to a community that is stronger because of dance. Lindsay Winthrop is a dancer, choreographer, and teacher based in Raleigh, North Carolina. A recent graduate of the UNC-Greensboro, she holds an MFA in Choreography. After receiving a BFA in dance education from East Carolina University, in 2007, she continued to further her pedagogical practices while dancing for Durham-based choreographer Hannah McClure. She deepened her investigation of choreographic practices and nurtured her emergent discoveries in graduate school. Currently excited about experiential and experimental performances, Lindsay and her dancers explore sensory movement through the use of elements. In continual search of choreographic findings, she is invested in studying the transformation of space by utilizing sensory experiences, natural materials, and energies incited by human bodies.